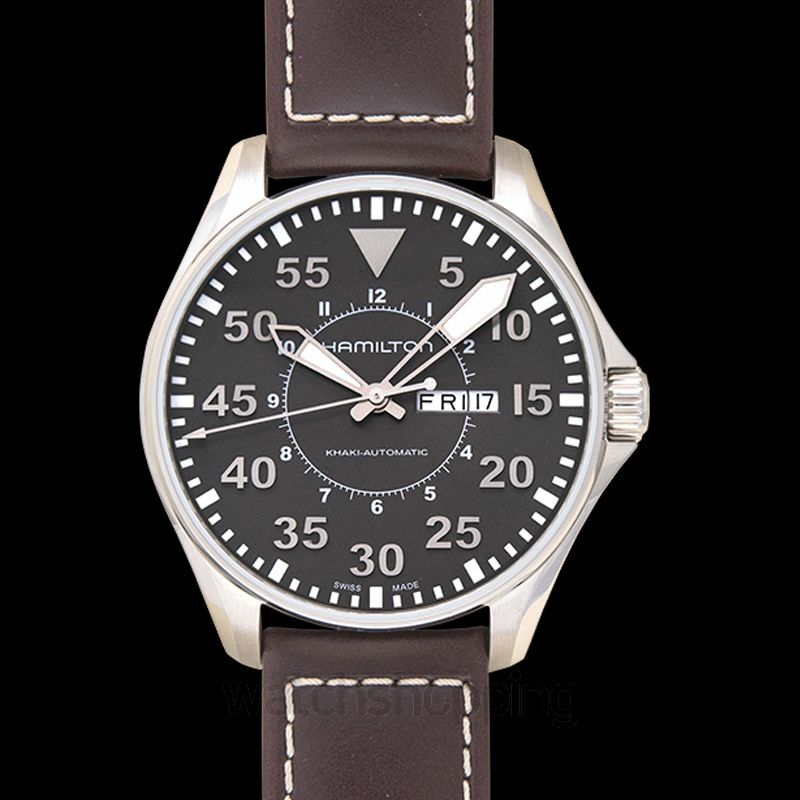 The Hamilton Khaki Pilot has been decorated with a black dial, with a stainless-steel fixed bezel. 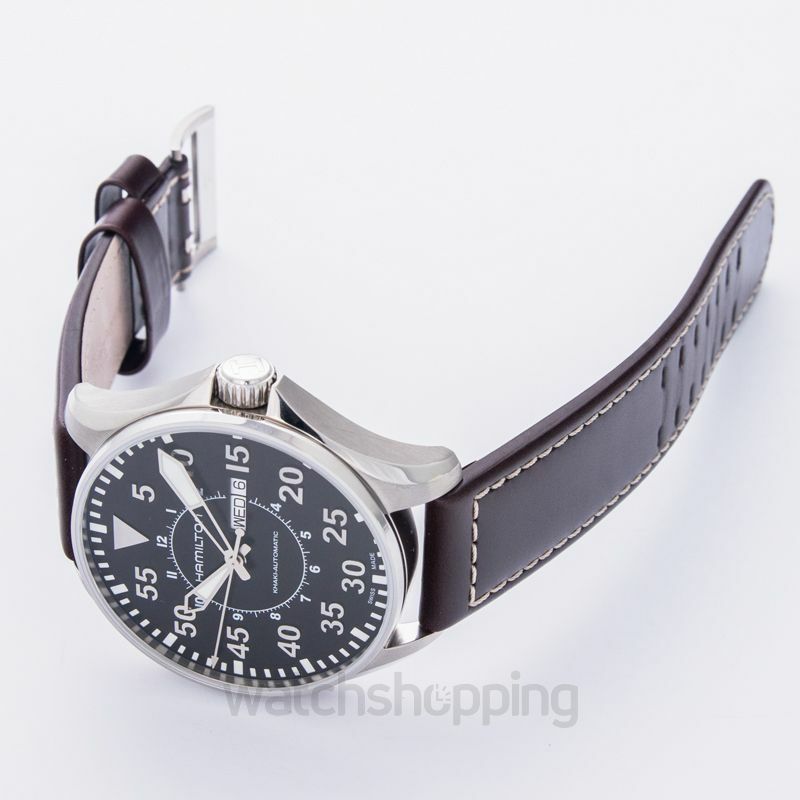 The watch has a leather strap in dark brown color. The dial has Arabic numerals with luminous hands that give the wearer the ease to read time underwater and in the dark. 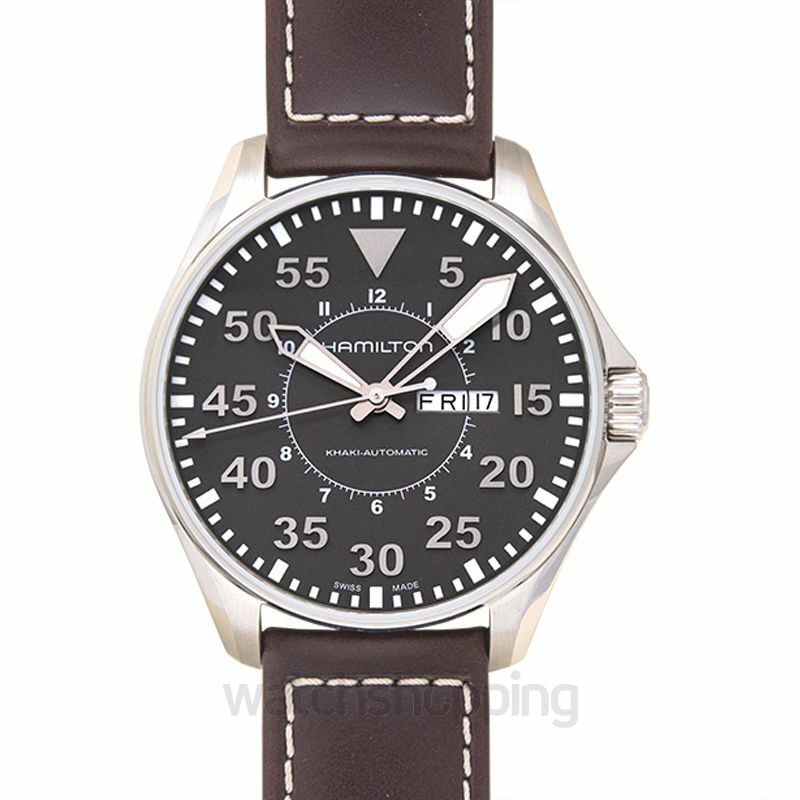 The watch has a date as well as day window set at the 3 o’clock mark. 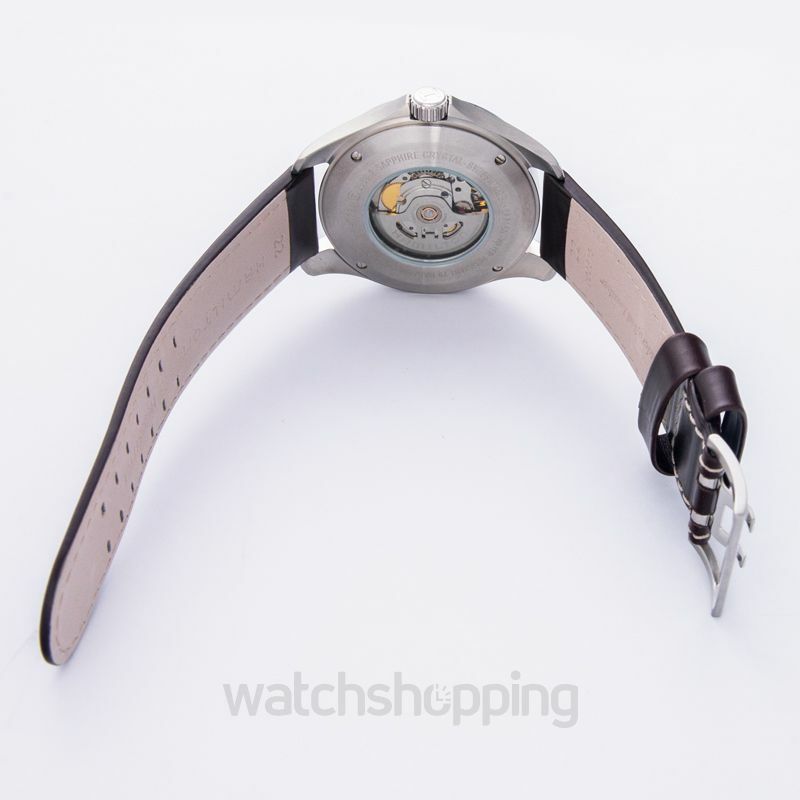 The watch is scratch resistant with a sapphire crystal.